Providing booking information for a variety of places to stay in Cocoa Beach, from family vacation spots, business trip accommodations, or romantic weekend getaway. Cocoa Beach spans for miles down the Eastern Atlantic shore. Here you will find oceanfront rentals, bed & breakfast inns, privately owned resorts and popular hotel chains with a local twist for the perfect Florida beach vacation! Every taste and budget is accounted for! Below is a list of places to stay in Cocoa Beach, near Orlando. All Photos below are from the hotels/resort’s websites unless otherwise noted. The Comfort Inn & Suites Cocoa Beach is just a block from the ocean, providing a conference center for reunions, business meetings and more. 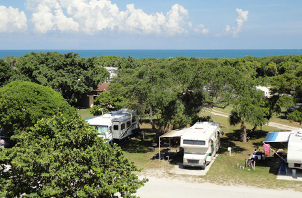 Wakulla Suites Cocoa Beach features a lush, private courtyard with BBQ and picnic areas. Best Western Oceanfront Hotel & Suites is an oceanfront hotel. Features a FREE hot breakfast, as well as a mini fridge and microwave in every room. 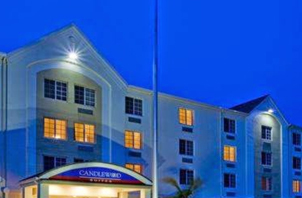 The Hampton Inn Cocoa Beach provides ocean views in their beachside location. Also features 24 hour business center and meeting rooms. Hilton Ocean Front Cocoa Beach, FL. Four Points Sheraton is located in Cocoa Beach Surf Company and features a Starbucks Coffee. Just a short walk to the ocean and you are enjoying the sun and the sand in beautiful Cocoa Beach. The Resort on Cocoa Beach is located right on the Ocean in the heart of Cocoa Beach. Wake up to the sunrise over the Atlantic Ocean or go for a stroll along the shore. La Quinta Inn Oceanfront is located right on the ocean and next door to the infamous Cocoa Beach Pier! The Radisson Resort at the Port is located in Cape Canaveral, FL. Just minutes from the ocean, the resort features a conference center for conferences and seminars as well as a great pool for the family in a peaceful atmosphere. Discovery Beach Resort features Ocean view balconies in every room. Enjoy the pool and tennis courts as well as authentic Mexican food at the resorts’ own restaurant, Fiesta Azteca II. Family Owned and Operated Beach Front Resort on Cocoa Beach, FL. Kid and Pet Friendly Inn, Cocoa Beach, FL. Beach Front Guesthouses on Cocoa Beach, FL. Beach Front Resort on Cocoa Beach, FL. “Additional fees apply. Taxes may be added.